Le Select, a once-famous literary café in Montparnasse. The reclusive French poet Jean Hache-Béret is sitting one table in, stage right, drinking a martini and looking rather bored. At the table next to him sits American poet Miss Guinevere Moxley, writing in her journal. She pretends not to notice him, though she knows perfectly well who he is. The bar is to the back and left. Somewhere in Paris a large gathering of American academics are holding a conference on Hache-Béret’s work. When the curtain rises, Velma Handler enters Le Select with an imperious attitude and goes to sit at the bar. Following behind, though not with her, are Pearl Indeterminate and Ambrosine Philpotts. Hache-Béret raises the “Best Books of the Year” issue of the Times Literary Supplement in front of his face in an attempt to hide. Guinevere (to Hache-Béret): You can’t hide from them, you know. Hache-Béret: You certainly can. They’ll never notice you. Pearl (glancing at Handler): Oh, of course Velma Handler had to be here. She thinks she owns Hache-Béret’s work! Ambrosine: So do you. And you’re both complicit in the heteronormative matrix of late-capitalist household dwellers. Ambrosine: See what I mean! Your very word choice proves my point, enforcing familial relations which privilege gender norms and masculine dominance. Pearl and Ambrosine sit at a table to the right of Hache-Béret. They immediately recognize him. Guinevere (to Hache-Béret): You won’t be able to inhabit the divine sepulchermuch longer. Hache-Béret (insouciantly): Cocktail hour and its discontents. Pearl: Oh! Monsieur Hache-Béret, I’m sure you remember me, Pearl, Pearl Indeterminate. I just delivered a paper on your intransitive and copulative verbs! Pearl: This is my colleague, Ms. Philpotts. Ambrosine: Please call me Ambrosine. Hache-Béret (to himself): Some days hell seems very near. Ambrosine: Do you have any guava juice? Pearl (to the waiter): So this is where you’ve been hiding. You owe me several chapters! First Café Waiter: I know, I know. But I can’t write the conclusion to my dissertation until Hache-Béret stops writing books! Second Café Waiter: My poetry is just like his and I went to Iowa, why don’t you write about me? Guinevere: And what about me? Second Café Waiter (to Guinevere): Oh give me a break, you’re way too determinate. Besides, you’re a girl. Guinevere: Woman. I’m a middle-aged woman. Ambrosine: Gender distinctions must be abolished. First Café Waiter (turning to Hache-Béret, picking up his empty martini glass): Please stop writing poems. The ghost of James Schuyler appears behind Hache-Béret’s chair. He is chubby and wears angel wings. Only Hache-Béret can hear him. Guinevere: I thought your camp name was Dorabella. Schuyler: That waiter is hung like a horse. Schuyler: Don’t worry, no one can hear me. Guinevere: I can hear you. Hache-Béret: Yes, and what kind of name is Moxley? Ms. Moxley, Moooooxley! Schuyler: It should mean “she who took all her best moves from Jimmy,” including that tacky pseudonym. Guinevere: It’s Guinevere — like the queen. Schuyler: Not any queen I know. Guinevere (to Hache-Béret): At least I don’t write like those legions of straight-boy-Iowa graduates who relentlessly imitate you, all hoping to repeat your 1975 triple crown! Second Café Waiter (to himself): I wonder if I should read more French theory? First Café Waiter (bringing Hache-Béret another martini): Would you like more poems with that. 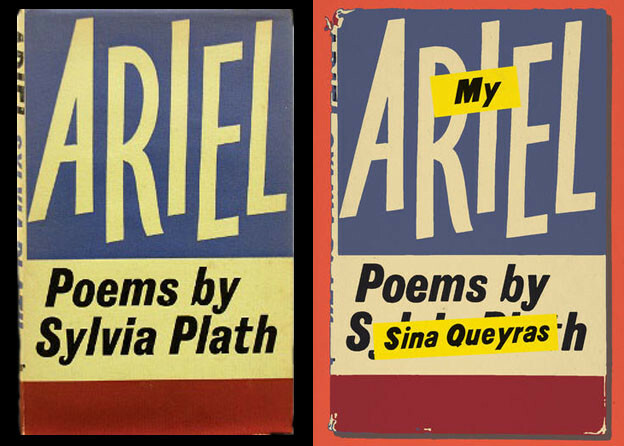 I mean, would you please stop writing poems! Ambrosine: Queerness denied in every one. Pearl: Don’t be foolish Ambrosine. His indeterminate strategies decenter the subject. Schuyler (though they can’t hear him): Jean is devoted to the impossible. Ambrosine: Nevertheless Pearl, his conformist closet works to globalize the heterosexist episteme. Guinevere: No, its Pearl Indeterminate, a critic. Handler (to the audience): I own the meaning of Hache-Béret. Pearl: He’s mine, he’s mine. Stay away Velma Handler, Hache-Béret is my poet! Schuyler: Why is this play called Boiled Dinner? Guinevere: It was originally going to take place in Maine. Schuyler: I wish I were paddling an Old Town canoe with red and peeling shoulders. Hache-Béret: The rise of capitalism parallels the advance of romanticism and the individual is dominant until the close of the nineteenth century. Second Café Waiter (writing in a small notebook): What a great line. Guinevere: But I’ve invested so much in the individual! Ambrosine (to Guinevere): Your complicity with the system denies the possibility of revolution. Just listen to your language, “invested.” You’re no different than a venture capitalist. Schuyler: The word is fag hag. (To Guinevere): Why did you change the location? Guinevere: Hache-Béret wouldn’t come to Maine. Schuyler: Not for you anyway. Ambrosine (to Hache-Béret): You must write explicitly about your sexuality! Pearl and Both Café Waiters: Please no, don’t! Schuyler: Why can’t we just be witty? Guinevere: What about my sexuality? Hache-Béret: These decibels are a kind of flagellation. Guinevere (to Ambrosine and Pearl): Why don’t you leave us poets alone. Second Café Waiter: Be quiet! Don’t upset Ambrosine, I’ve just asked her for a blurb. First Café Waiter: Please stop writing poems! Handler: I own the meaning of Hache-Béret! Pearl: No, I own the meaning! Hache-Béret: I have to go to the bathroom. Guinevere grabs Hache-Béret’s hand and they sneak down the stairs of the café, while the rest continue to argue, repeating variations on their previous lines. For this Jacket2 feature, Thomas Devaney and Marcella Durand convened a number of poets, scholars, and artists to consider John Ashbery and the arts: roaming through dance, theatre, poetry, music, translation, and essay, the materials in this collection push at the outer description of the word “art” while tracing correspondent lines to Ashbery’s own work. 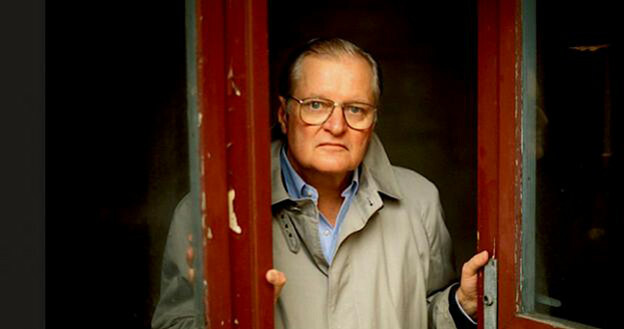 You'll find an extensive collection of John Ashbery recordings — including readings, interviews, lectures, and radio appearances — from 1951 to the present on his PennSound author page, including the poet’s two appearances as a Kelly Writers House Fellow in 2002 and 2013. A text-sound alignment of Ashbery’s iconic poem, “The Skaters” can be found here.